Sir Denys Lasdun | owl's house london. the anatomy of a building. 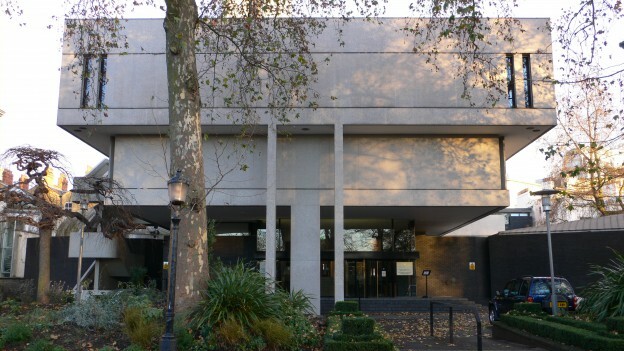 Sir Denys Lasdun created a radical new headquarters for the Royal college of Physicians 50 years ago. Unlike anything else in the classical, verdant green surroundings of Regent’s Park, his building was bold, restrained and unashamedly modern. He is also the architect responsible for one of my other favourite of all London buildings, the National theatre, Southbank. Lasdun’s building is comprised of three contrasting materials, expressing the form of the building and defining the three distinct zones. The grand, ceremonial areas are clad in off-white mosaic, appearing to float above the lower administrative areas constructed from dark blue engineering bricks. Concrete was used for the fire escape and functional, hard-working parts of the building. 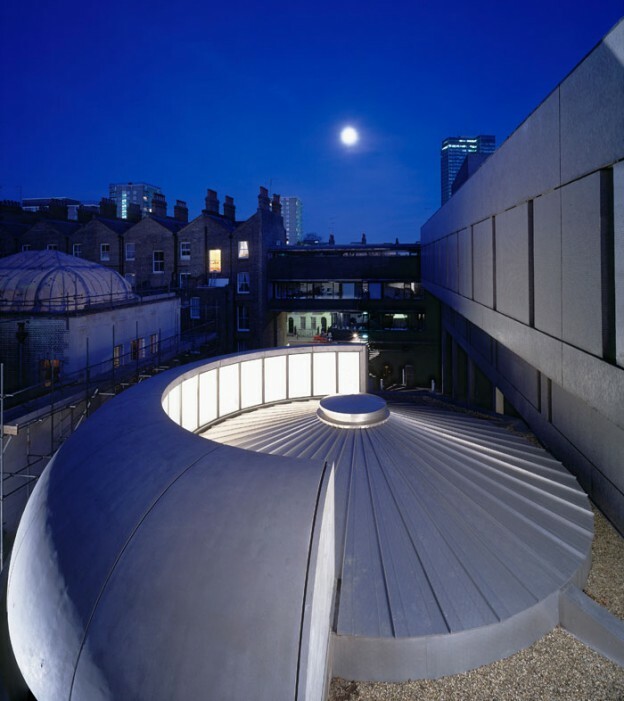 This extraordinary building is the subject of a current exhibition, now until 13 February 2015. This entry was posted in design heros., happenings., in the gallery. 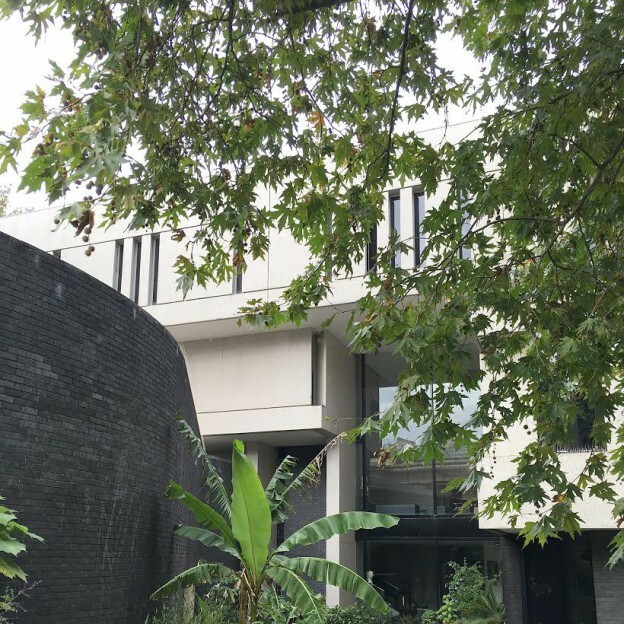 and tagged architecture, Baggeridge brick, concrete, Denys Lasdun, Modernism, National Thestre, Regent's Park, Royal College of Physicians, Sir Denys Lasdun on September 25, 2014 by owls house london..